Annwen Butler-Chattell, 15, has won this year's Better Lives photographic competition, organised by the Economic and Social Research Council (ESRC). 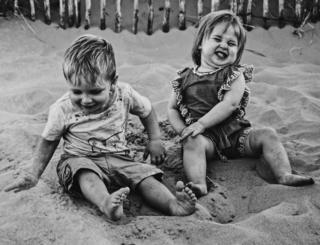 Her picture, Sandy Grins, shows her nephew and niece playing in the sand at Lytham Beach, Lancashire. Here, we present some of the entries on show at the Espacio gallery, in east London, until Sunday, 31 March. 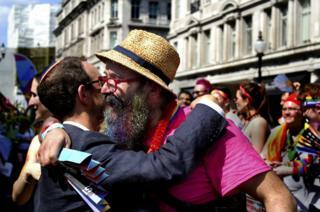 Image caption A proud embrace, taken by Josie Drapkin at London Pride in 2018, was judge Joanne Gallagher's favourite. Image caption Downfall of communication was a runner-up in the Better Relationships category. "When using technology, you become very unaware of the surrounding world," the photographer, India, 15, says. "This obsession to use phones and electronic devices has unfortunately become a normal part of daily life." 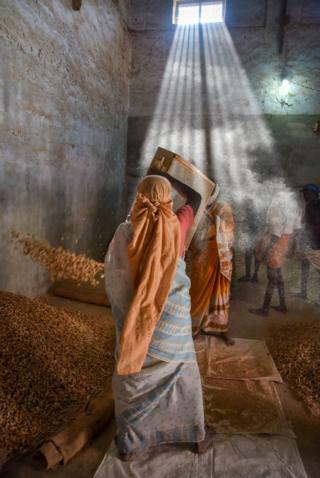 "The range of entrants to this year's ESRC photo competition was extremely impressive," says ESRC director of strategy and operations Prof Paul Nightingale. "I was delighted to host the evening's ceremony and the entrants to the competition have demonstrated how social science research touches so many aspects of life from the economy to the environment." Image caption Eloise Moore was one of a number of people who explored the theme of mental health. Her picture, a runner-up in the Better Health category, combines her own drawings with her photographs. "The cage shows the mental barriers you face on a daily basis," Moore says. 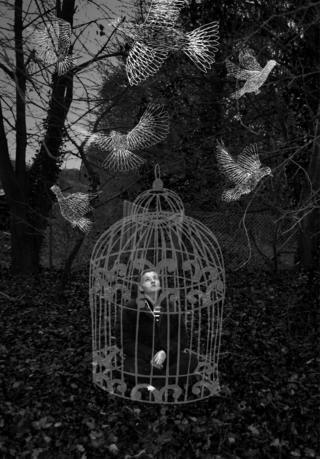 "The birds are completely free, almost taunting the model in the cage." Image caption Abigail Pickersgill's Portrait 5965 references the number of people who killed themselves in the UK in 2016. 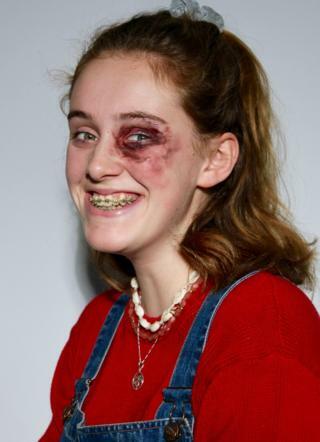 Pickersgill uses make-up to to visualise mental scars usually hidden to others. 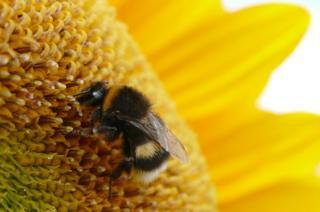 Image caption Bee' cause bees matter, by Jessica Quinton, 15, was a runner-up in the Better Environment category. "Awareness of the plight of bees needs to be raised for sustainable living of the next generations," says Quinton. Image caption Elizabeth Revell, 14, won the Better Education category. Her picture, Addition and Subtraction, was taken in Ghana, where she was helping out in schools. "I am trying to raise awareness of how few supplies children have in other countries and the fact that we are very lucky for everything we have but take it for granted," Revell says. 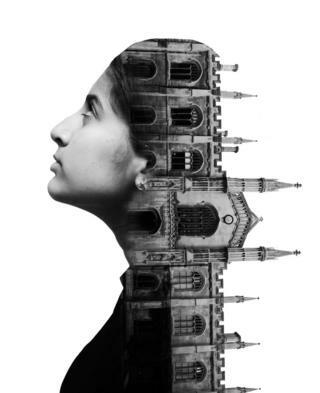 Image caption Yazmin Pang's collage, a runner-up in the Better Education category, considers the importance of education for young people. 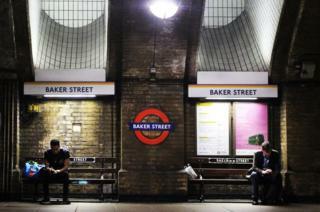 All photographs courtesy of the ESRC.